San Francisco — March 6, 2017 — Trifacta, the global leader in data wrangling, today announced it has been named the 2017 top vendor in Dresner Advisory Services’ third annual End User Data Preparation Market Study. 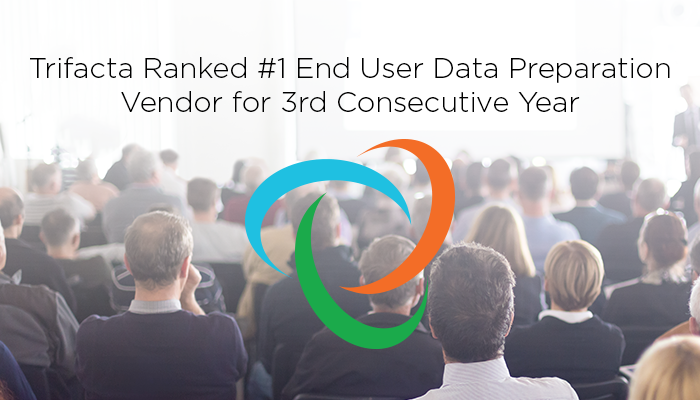 This is also the third consecutive year that Trifacta has been recognized as the #1 rated vendor in end user data preparation. Download the full 2017 report here. The third edition study, part of the Wisdom of Crowds® research series, examines the nature of end-user data preparation, exploring user sentiment and perceptions, the nature of current implementations and future plans. The study addresses key end-user data preparation issues including: user perceptions and intentions around data preparation requirements, including usability, integration and manipulation features; industry support; user requirements; and vendor ratings.